But as the famed philosopher John Lennon said "Life is what happens while you're busy making other plans," and for reasons still unclear to him, he decided to become a lawyer instead. So instead of heading for the stars, he went to New York and Columbia Law School. He began his legal career at a major Wall Street firm, and continues to practice law today as in-house general counsel to an international transportation company. Lawyers write for a living, and many people think they write fiction for a living. One day, he decided to abandon all pretenses and write something that he could readily admit was completely made up. So now, he writes crime fiction. Ken is a member of the Mystery Writers of America and International Thriller Writers. After a number of terms on the Board of Directors of MWA's New York chapter, he received that organization's Silver Noose Award for his dedicated service. Ken chairs the chapter's Communications Committee, serves on its Mentor Committee, and is a moderator of the chapter's online discussion forum. 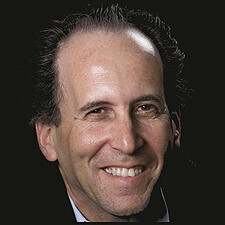 He is also a contributing editor of ITW's magazine, The Big Thrill. He lives in Sarasota with his two dogs, Toby and Lily, and his cat, Cleopatra. He rides a Harley.